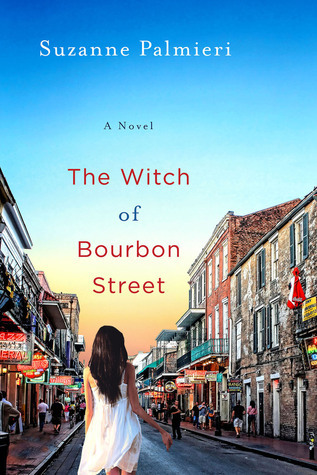 Goodreads: Set amidst the charming chaos of The French Quarter and remote bayous of Tivoli Parish, Louisiana, Suzanne Palmieri’s The Witch of Bourbon Street weaves an unforgettable tale of mystery and magic. Kritters Thoughts: Witches and magic and the modern day. This book was an interesting take on the modern day witch with a family history. Although I am not always the fan of the witch books, I wanted to read this one to see a modern take on it. Frances ran away from her past and denied her abilities, but in this book she comes back into the fold of the family and finds her place. This book is more than a dual narrative, almost everyone involved gets their own chapter or a part of a chapter to help move the story along and tell from their point of view. I loved that all the characters shared the responsibility of telling the story. I also loved that this book was more than the abilities that the members of this family can do, but really about the family as a whole and their relationships. The book was definitely wordie and although I never do this I read a few reviews when I was at the halfway point and agree that it was very slow to start and most to all of the action was saved to the bitter end which I didn't love. If you like a slow build you would enjoy this aspect much more than I did. If you are a witch skeptic like me, you may like this one with the intense focus on family instead of all the witchery!